The red panda is such a lovable creature! It’s like they took all the best parts of a raccoon, fox and a panda and merged them into one adorable little critter. They have the cute bandit face mask and striped tail of a raccoon. They have the warm orange-brown fur like a fox and a black body kind of like a panda. They also like to munch on bamboo all day like pandas. They are just so darn irresistible. Heck, if we could, we’d cancel all of our plans for the week and do nothing but cuddle up with one. Alas, they only live in a small portion of China and are endangered, so finding one to be your cuddle buddy may not be possible for most people. Of course, now that there’s this adult Red Panda Kigurumi, everyone can snuggle with a red panda. 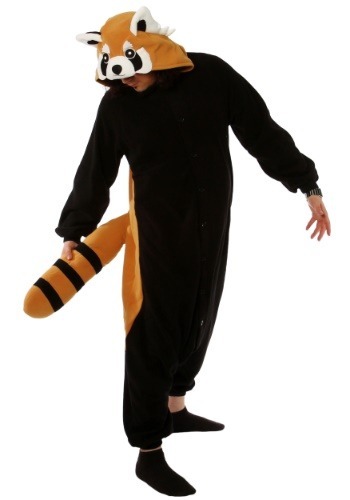 Yes, this red panda Kigurumi is a Japanese style pajama costume that’s designed to look just like a red panda. It’s made of a ultra-soft polyester fleece that’s comfortable to wear as a costume, or as sleepwear. 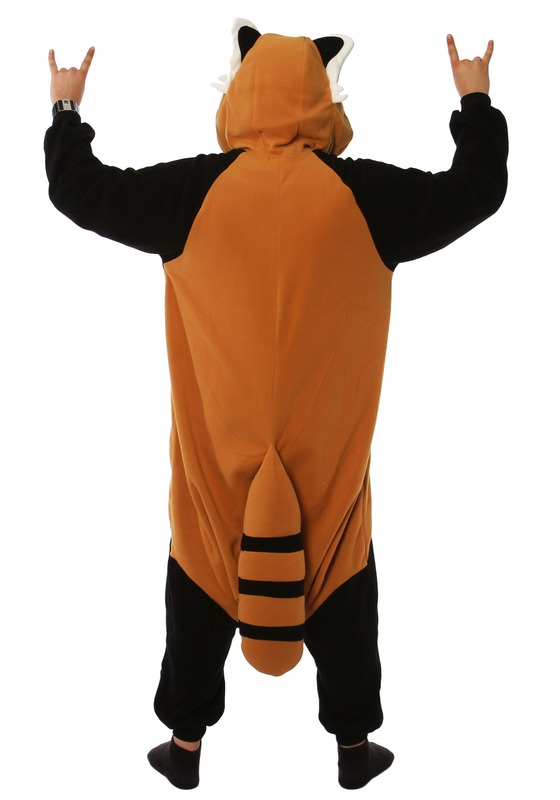 The front and sides of the Kigurumi are black, while the back is covered in the signature orange color of a red panda. An orange and black striped plush tail is attached to the back to make you look doubly adorable. It even has an attached hood with a red panda face designed into the front. A pair of tiny fox-like ears poke out on the sides as well. Once you put it on, you’ll be ready to snuggle up with any of your loved ones, like a real red panda.